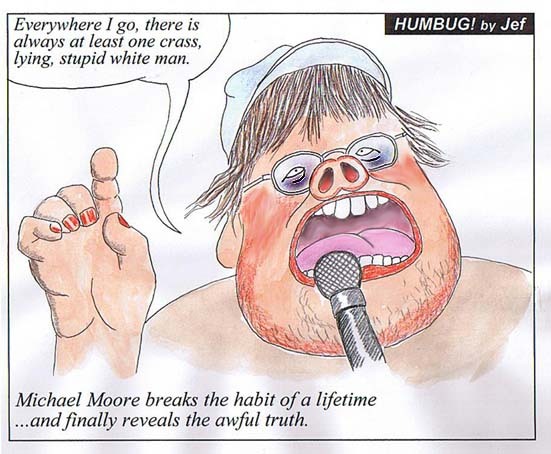 The awful truth is that Michael Moore is a LAME documentary maker. LAME is an acronym for Look At Me Everybody. His documentaries tell us an awful lot about Michael Moore, but very little about the alleged subject of the documentary. However I don't wish to diminish his level of contribution to insights into contemporary geopolitical problems. In fact, it would be impossible to understate his contributions. Michael Moore is also a LAME author, a LAME celebrity, and a LAME pundit. By all means people, give him the attention he craves, but don't let him follow you home, or you may never be rid of him.